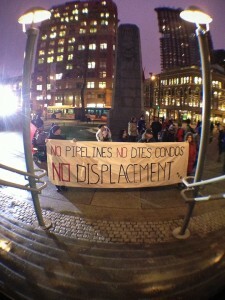 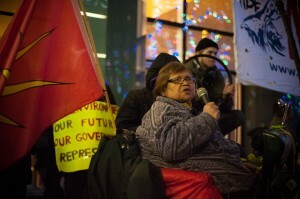 Photos from No Enbridge NO!SE DEMO! 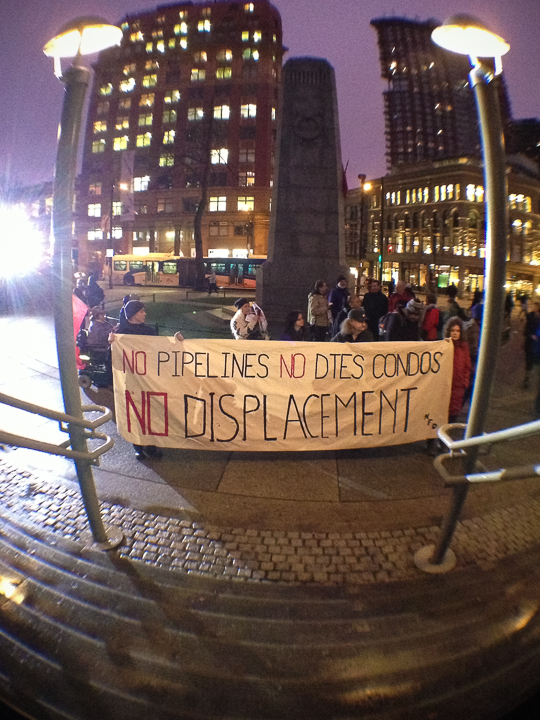 When the Enbridge Northern Gateway Pipeline Joint Review Panel came to Vancouver on January 14th, 2013, Rising Tide Coast Salish Territories organized a “noise demonstration” to voice our opposition. Thousands of people came to expose the Review Panel for what it truly is — a sham and corporate smokescreen that removes the right of communities to say no. 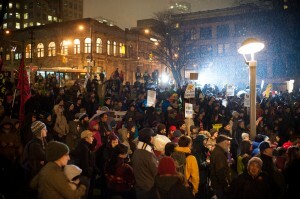 The noise demo began in Victoria Square and burst through police lines at the Sheraton Wall Centre, where the hearings began. 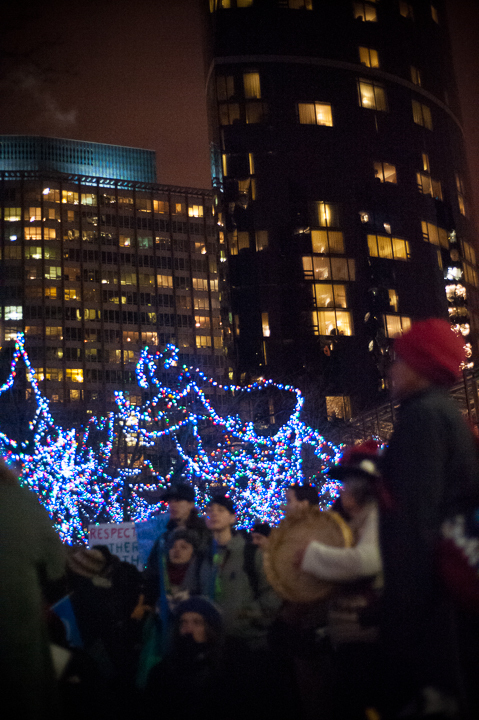 For MORE PHOTOS (by Caelie Frampton) click continue reading. 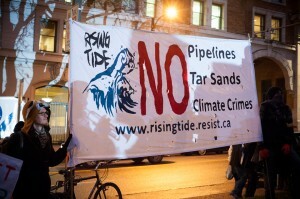 More than 130 First Nations have already signed the Save the Fraser Declaration, an Indigenous law that bans all tar sands pipelines within the Fraser Watershed. Many members of frontline communities led the noise demo as it marched to the Sheraton. 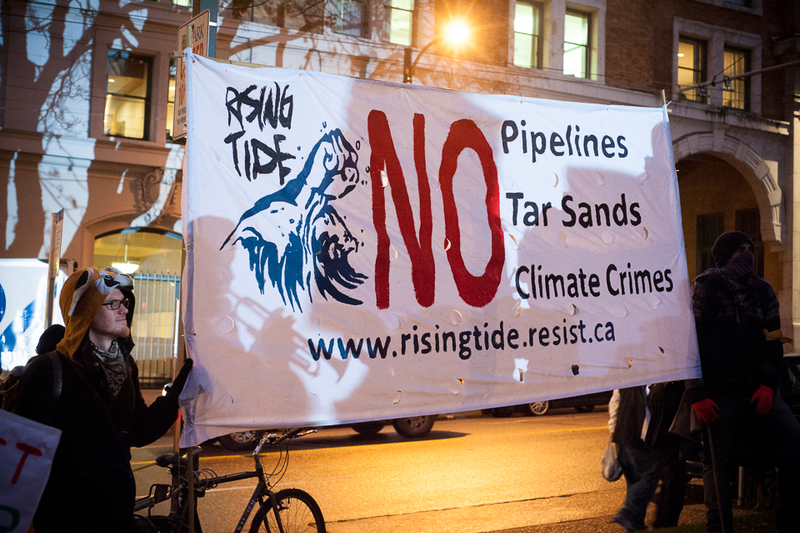 The Joint Review Panel provided a long list of issues that cannot be discussed during the hearings, including one of the Enbridge Pipeline’s most significant impacts – climate change.